If you are a business owner or local resident who doesn’t have time to wait for shredding services, then call A1 DATASHRED. We offer fast, next-day shredding services for both residential and business customers in Devens MA. Our industrial shredders can handle any job large or small. Simply give us a call, and we’ll send a team and equipment to your location and destroy your documents on your schedule. We make document destruction easier than ever! A1 DATASHRED saves you time and money by bringing document destruction services right to your doorstep. Our helpful staff is waiting to speak with you. With just one call we will explain our services, give you a quote and set up your appointment. We offer appointments as soon as tomorrow five days a week. We have a fleet of high-tech trucks equipped with industrial-grade equipment that allows us to perform our services quickly and with absolute precision. When we arrive at your home or business, we will gather the designated documents and place them in a bin. Once the documents are in the bin, we lock the bin and move the sealed bin to our on-site truck. We then empty the bin with an automated system into a shredder that cuts the documents into thousands of tiny pieces. The shredded paper is then recycled. We have onboard high-definition cameras that send a video feed to the viewing screen on the side of the truck. This feature allows you to see the destruction of your files as it it happening. You can verify first-hand that we have destroyed your documents. Additionally, our employees are always recognizable with a badge and a uniform so that you know who has your documents. Our process is secure and brings you peace of mind. One-time shredding – Our one-time or purge shredding is ideal if you occasionally need your documents or files destroyed. Gather up all of your documents, we’ll come to shred them anytime you need us. We’re here to help, Monday through Friday. Scheduled shredding – If your business deals with a lot of documents, we can schedule an ongoing service for your shredding needs. We’ll deliver our secure, locked containers that stay in your office so you can place all documents to be shredded in them. We’ll come to empty and destroy the contents of each container on a regular scheduled such as weekly or monthly. Your private papers at home need the same level of security as any business does. Our residential document destruction service is available to come to your home Monday to Friday to eliminate any of the personal papers you don’t need anymore. It’s fast easy and is completed right in front of you. When you need to protect your private information, you don’t want just any company handling your documents. Why do residents and companies in Devens MA trust A1 DATASHRED? We are locally owned based in the state of Massachusetts. One simple call is all it takes to schedule your appointment. We have flexible hours Monday through Friday. Our on-site service is convenient. We hace the most advanced equipment. We perform background checks and drug tests on all our staff. A1 DATAHRED exceeds the highest NAID standards.  We are also AAA certified. Are you concerned about making sure that your business is being as eco-friendly as possible? Luckily, our shredding services can save up to 17 trees per ton of paper as well as zero impacts on landfills. Whether you own a business or need to clear out your home, A1 DATASHRED is here for you. Our document shredding service is comprehensive, quick, and affordable.